The University of the Highlands and Islands (UHI) has brought together more than 300 apprenticeships from across its network of colleges to offer employers a “regional portfolio” of training opportunities. UHI said its new scheme would make it easier for businesses to access skills development programmes from across its partnership as well as from their local college. 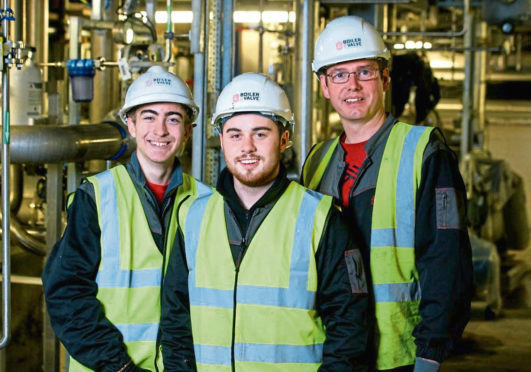 Through its nine colleges, stretching from Shetland to Argyll and the Outer Hebrides to Moray, the university is offering modern apprenticeships (MAs) in a range of subject areas, including hospitality, engineering, administration and retail. Diane Rawlinson, UHI’s vice-principal for further education, said: “Research shows that employing apprentices can increase productivity and innovation. The university said its regional programme aimed to provide employers with access to “comprehensive apprenticeships tailored to their needs”. College staff will support employers to recruit employees for training as well as providing guidance to the business and apprentice throughout the process. Apprentices can access university facilities and have the option to progress to further education opportunities once they have completed their training. UHI offers MAs through its Argyll, Inverness, Lews Castle, Moray, North Highland, Orkney, Perth and West Highland colleges. They are available at Shetland College UHI through the local council.